I have been asked personally many times from our readers to suggest them some good interior design blogs to get ideas of latest designs. Today, here listing top ten interior design blogs to follow to help you get all the tips you need if you want to design your home or for what you wish to use these designs. The designs of a house can change how a person lives, his/her mood, the house atmosphere, and many more. Also, they can help to get the looks that you want for your house. Most people don’t consider interior designing to be that important, but that is not entirely accurate. Designers have an unbiased view of space and pay particular attention to details, which is why an average person can not see the importance of it. Dwell is a good website wherein you can see lots of interior design ideas made by them. At Dwell, they spend lots of effort with every photo they make, which is why we got them on this spot. If you are looking for inspirations, then this will be perfect for you. No top 20 would be complete without that behemoth of blogs/forums, Apartment Therapy. Despite its size and reach - and it really is huge, with dizzyingly frequent updates, and posts from around the world - it retains a sense of community. It’s primarily pictorial, with the main feature being House Tours of hipsters’ homes, though it mixes these with practical tips. Decor8 is the name on virtually every other interiors blogger’s blogroll, and with good reason. In six years it’s become such a popular design resource that its American founder, Holly Becker, now has a bestselling spin-off book to her name and is a regular on the lecture circuit. This website builds tools that help designers find great products and connect with the manufacturers that make them. Designer Pages Media also have lots of articles in their “Media” section wherein you can find interesting ideas for interior designing. Freshome has grown to become an authority in its niche. 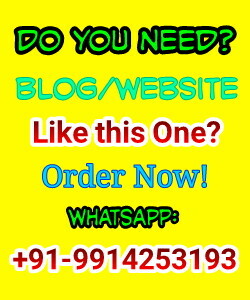 Its content is regularly picked up and shared by some of the most influential and widely read Internet sites. Today, Freshome is the go-to destination for anyone who is passionate about design, architecture, luxury, travel, lifestyle, and creativity in the home. If you love reading about these topics, then this is perfect for you. This website is a very interesting one because it publishes creative works and forces worldwide media coverage in lifestyle and architecture magazines, newspapers, blogs, and broadcasters. Designspotter is a design platform dedicated to everything related to young modern contemporary design. If you are a fan of that, then this is the perfect site for you! 'Glamorous Lives & Stylish Places’ is the tagline to this utterly compelling blog from a New York interior designer, a woman of unashamedly uptown taste, both modern, slightly Mad Men uptown and the more traditional. She’ll post photos of everything from the late Jackie O’s swag-tastic Fifth Avenue apartment to her own well-stocked dressing-room. Yes, it’s that fabulous. A new entry to our Top 10 is Sophie Robinson’s DIY Design and Decorate. Sharing her passion for interiors, Sophie wants to show you how to get the most out of your home. It’s no wonder her blog has bumped up three places from the No 10 spot last year. Jen shows off her ‘insatiable love of home decor, interior design and home accessories’ through the blog that first started out in 2012. A joint venture between two friends/interiors writers from south London. They’ve an unerring eye for the tastefully offbeat and cover everything from foreign fleamarkets visited to the rights and wrongs of black wall paint. They’re not shy of posting photographs of their own homes every now and then, generally when pondering some decorating dilemma. Will one of the friends go with the fabulous Cole & Son Palm Leaves wallpaper in her hall? Will the other ever find the perfect grey paint for her sitting-room? 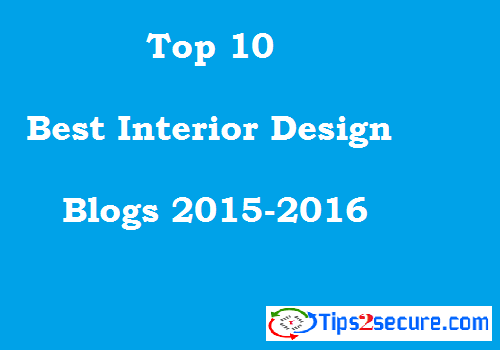 Message: I hope that you have enjoyed 'List of 10 Best Interior Design Blogs 2015-2016' article. However, if you want me to deliver more items, then please share my post. You can use Social Sharing Widget provided at the end of every post. After all, Sharing is Caring! I'm glad you liked designs. You are always welcome here on tips2secure. Keep reading and stay tuned. Wonderful blogs. Happy to visit your website. Thanks for sharing. I'm glad you liked my website. Thanks for your blogs suggestions. It really helps a lot!! Really it's a great blog list. I think this blog will help us for gained more knowledge. Thanks for sharing a great list with us.